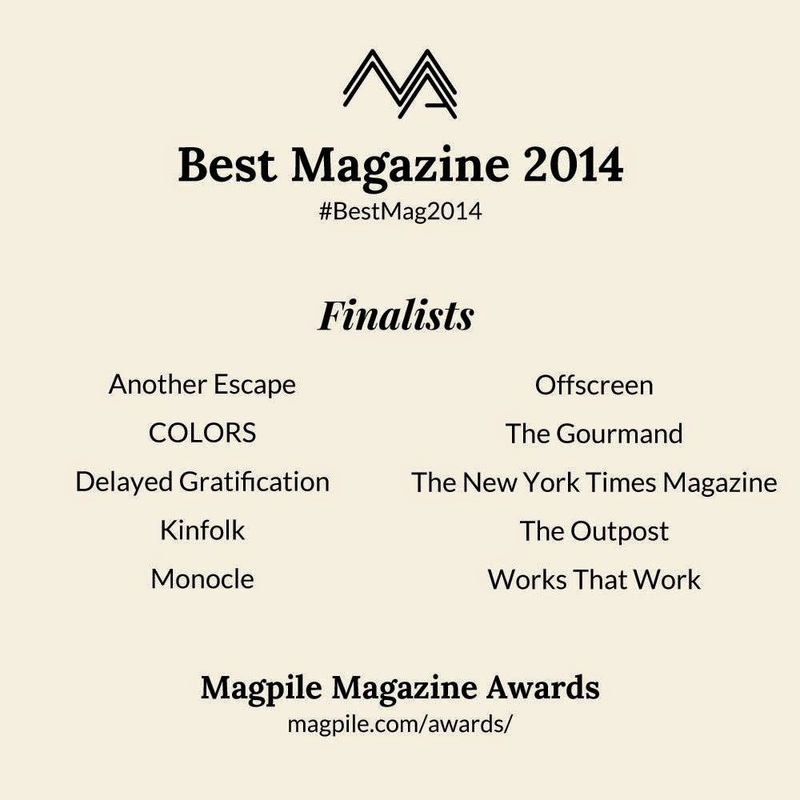 The Magpile Awards celebrate the best in magazine publishing each year, and award winners based on overall quality - both design and editorial inclusive. 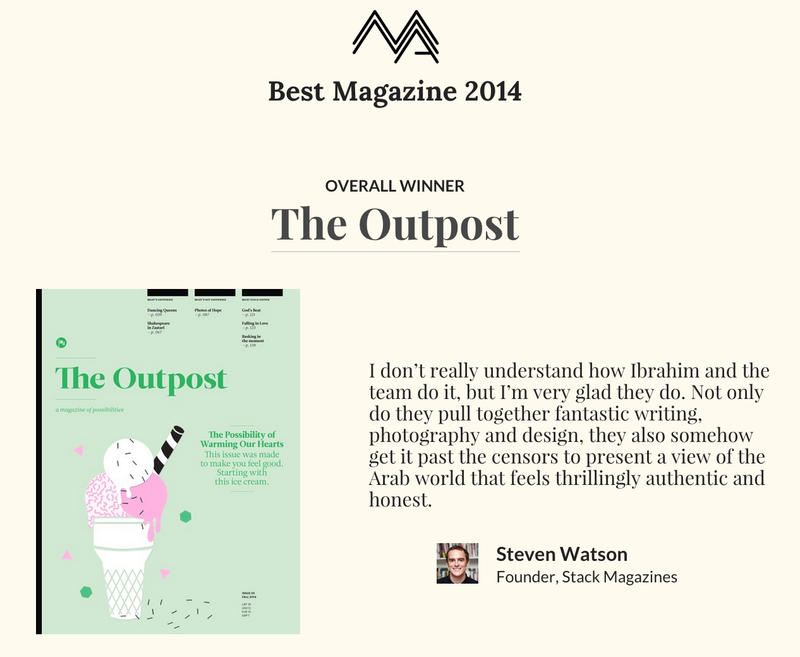 The Outpost, the one and only magazine of possibilities born right here in Beirut - just won Best Magazine of 2014, one of the two categories of the awards. The other is Best News Magazine of 2014 (which, uhm, naturally won't come out of Lebanon). It's one of those moments when we're all suddenly very proud to be Lebanese. While Lebanon is notoriously strong in the book publishing industry (especially when it comes to Arabic books,) the quality of sophisticated magazines doesn't quite compare. But then the Outpost came along, and lo and behold! 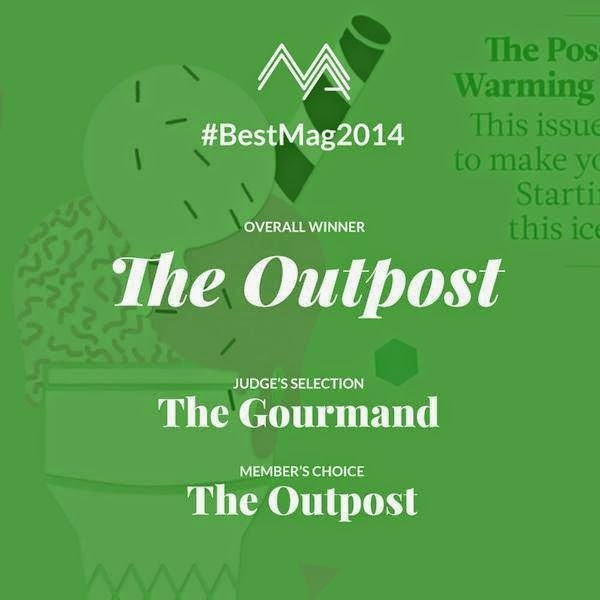 Yes, The Outpost beat Monocle. Extraordinary. A shoutout to the team behind The Outpost. Cheers to many more.